The world has patiently been awaiting arguably one of the biggest collaborations of electronic music in 2016 and it's finally arrived. Coming forward as the spearheads in innovative electronic music, RL Grime, What So Not and Skrillex have joined forces to create the monumental work of "Waiting". The track was first teased precisely a year back, at the UMass – Lowell Wicked Halloween show. Since then, fans of the trap and bass kings have been anticipating it's release which debuted in RL Grime's 5th annual Halloween mix. Earlier yesterday, the track was sneakily released. With a mysterious poster showcasing a phone number. Fans gave the number a shot and were able to get an early preview of the work. 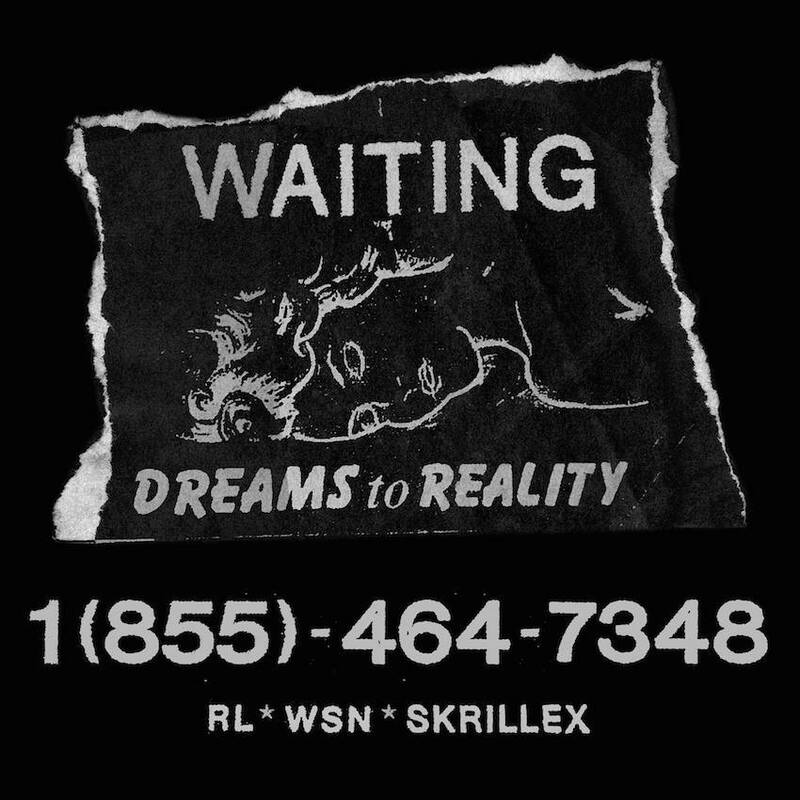 "Waiting" is a perfect fitting puzzle of all three producers talents. The three join heads by combining powerful trap vibes attributed to RL Grime, the poignance in sounds from What So Not, and Skrillex's tactful composition skills. The song begins with a singing cry in the background, posing a sense of isolation for the listener. Gradually layered with the brass synths and a emotionally driven melody, the percussion kicks to a climatic build up. In the unravelling of the drop, a familiar bass is discharged, enveloping the cryptic and engaging energy of the work. With primal vocal inserts and a looping melody to jab at our vulnerable hippocampus, the work is one to play on constant repeat. The masterpiece concludes with a grungy distortion of synths, that seem to weep in it's frequencies. "Waiting" reveals something profound upon every listen, unearthing something purely human in it's sonic tendencies with a synthetic flip that holds the same timbre. What So Not and Herizen partner up for "We Can Be Friends"